We've run the Paradoscars here (formally known as the Paradox 'Oscars') for a decade now (!) and it was in existence 'offline' for several years before that, so clearly we like voting in a best 'things' of the year list, and we like it even more ever since we invited our readership to join in! While the PCG may have come up with the nominations in each category, the winners were chosen by you. As usual it was a tight race in some categories, but in others (*cough*'Best Publisher'*cough*AGAIN! *cough*) the winner left their fellow nominees in the dust. Stewart R: After winning the categories of Best Issue and Best Character in 2015, Greg Rucka and Michael Lark have romped home with the Best Ongoing Title award for 2016 with Lazarus. Where last year was very much about establishing the sides in the looming war between families, this year has been about that conflict unfolding and with it the secrets that may come to haunt Forever Carlyle and those around her. 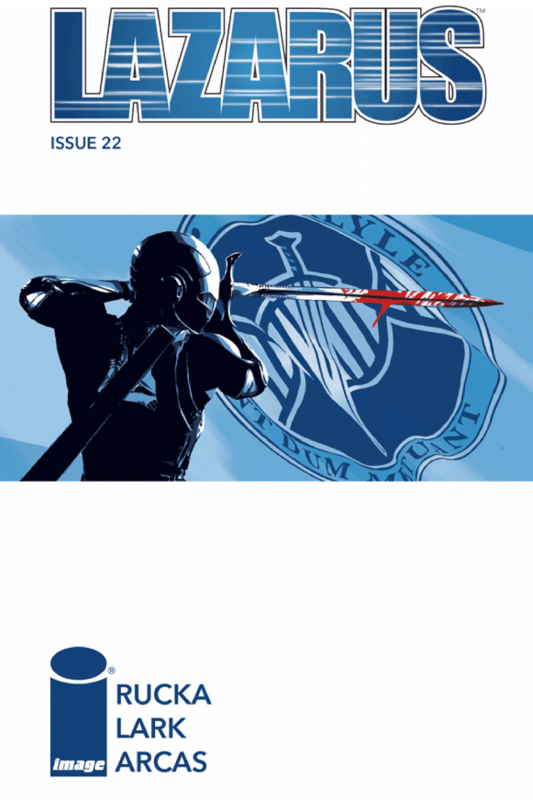 Rucka's previous cast building has enabled him to develop the plot on two distinct fronts, allowing the Lazurus of other families to 'lead the charge', so to speak, in the bloody ongoing war, while a sidelined Forever has been left pondering not only on who might have been lying to her, but on her very existence in the first place. 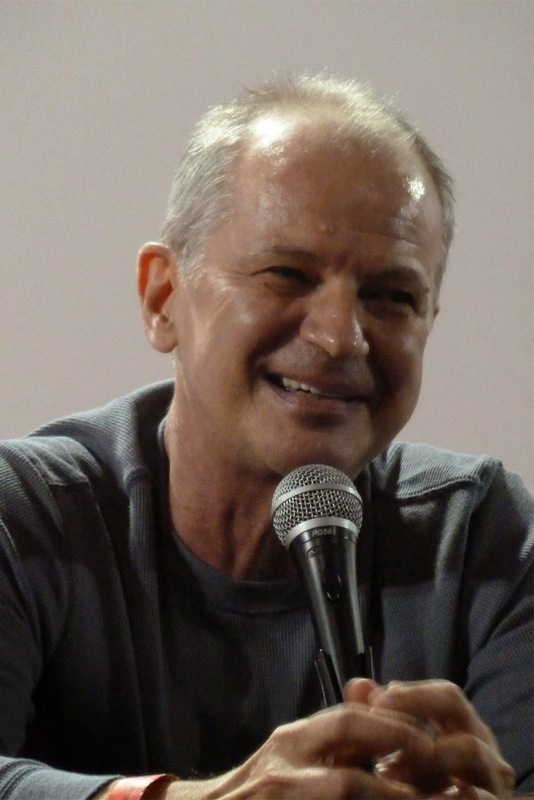 By needling the protagonist in both physical and psychological ways and specifically showing that she is honestly replaceable – alongside a broadening focus on other cast members - Rucka has also managed to plant the seed of doubt in the readership as to whether Forever is the protagonist, and if she is, whether she will live to continue her story. Incredibly well focused, engrossing, enveloping and ever essential, Lazarus is a worthy winner for 2016 and you just know we'll likely be talking about this title again this time next year as a contender for 2017. James R: I think this was one of the toughest categories to call this year as there have been some phenomenal limited series in 2016 (and it's arguable that the limited run is where the best work is being done in mainstream comics at the moment). Tom King and Gabriel Hernandez Walta should therefore feel suitably proud of taking the crown. When it was first solicited, Marvel did an astonishingly bad job at pushing it - in Previews, it was pitched as something almost lightweight and comical, with the idea of Vision attempting to lead a normal life in the suburbs not sounding like the premise of the must-read book of the year. When the series began though, it quickly became apparent that this was so much more; King's script asked questions about the very nature of what it meant to be human, as Vision, Virginia, Vin and Viv struggled to adapt to 'normal' life. It was also a book that weaved in Marvel's rich history to great effect too, but was equally accessible to the casual reader as it was the Marvel obsessive. During the promotion for Captain America: Civil War, the Vision's cinematic representative Paul Bettany took time to highlight just how good this series was - and he certainly wasn't wrong. There was not a weak issue in the run, and it climaxed with one of the most emotional and pitch-perfect codas I've seen in a while. The Vision may be little worse than a man, but it was far more than an ordinary comic - mainstream comics don't get much better than this. 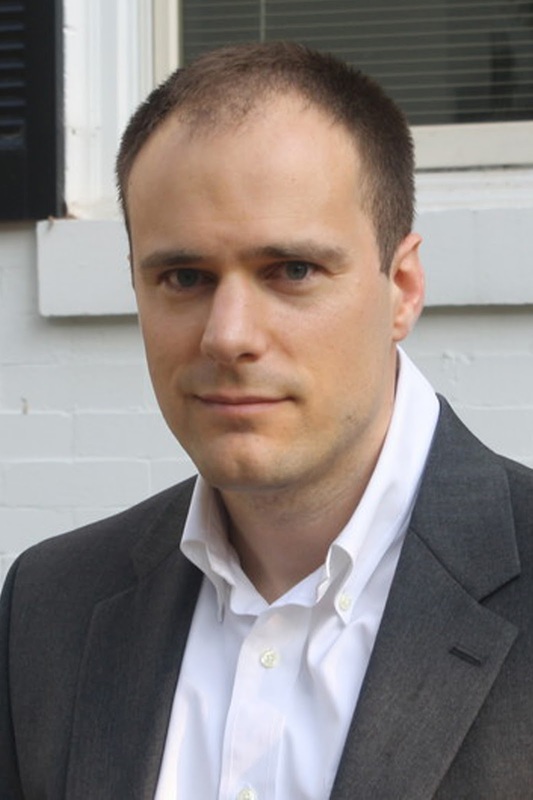 Tom P: A few years ago Ed Brubaker and Sean Phillips signed a five-year deal with Image to produce any comic they wanted to. This creative freedom has given us Fatale, more Criminal and The Fade Out, so we really shouldn't be surprised that Kill Or Be Killed is another hit. Here the creative partnership, along with regular colouring collaborator Bettie Breitweiser, take us into the warped mind of Dylan Cross, a depressed college student who attempts to take his own life. All doesn't go to plan and following some unlikely events he is visited by a demon who claims to have spared Dylan's life. But there is a catch: Dylan will only be allowed to live if he takes the life of another person. Is Dylan crazy or is this some kind of twisted divine intervention forcing him to become judge and executioner? We watch Dylan desperately try to justify his actions in this dark and captivating comic, proving once again that when a team this good produces a new story you absolutely must get onboard. 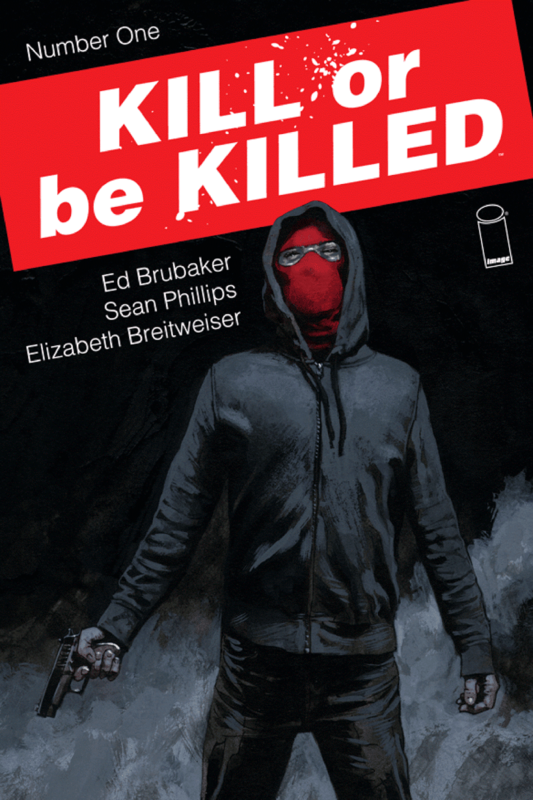 In a recent interview with image Brubaker explains that "I think Kill Or Be Killed is just as ambitious in its structure as The Fade Out was, but it's more pulpy, more like a serialized monthly comic. The basic idea is like a stone thrown into a pond - what happens to this guy when he starts putting on a mask and killing people? - and from that, there are just so many ripples to explore and story alleys to go down." We couldn't agree more as we bestow the honour of our Paradoscar for Best New Series! Matt C: It was the most remarkable series to appear from the House of Ideas during 2016 - and every issue of The Vision was, basically, a marvel - but if any single instalment encapsulated why it was so revelatory, why it was so affecting, why it was so damn good, it was this one. 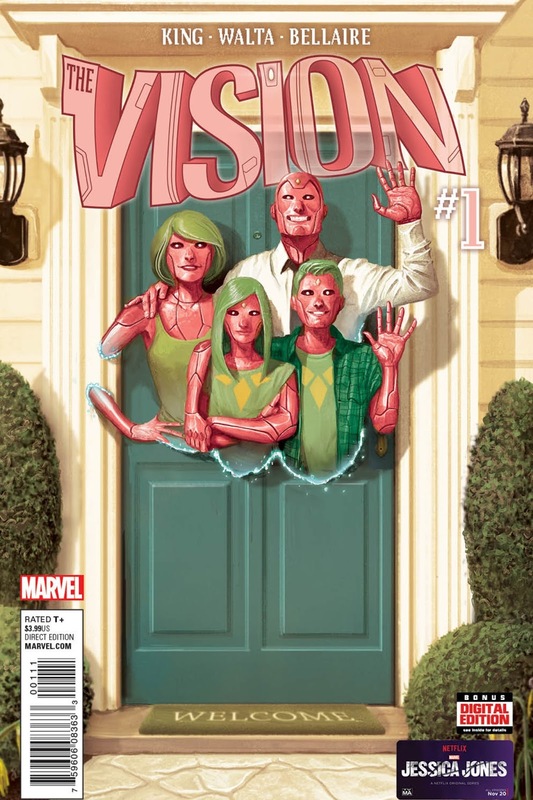 Reeling from a tragedy, we watched the Vision family deal with a concept that should be alien to them as synthezoids, but the way they process their grief was as fascinating as it was heartbreaking. Both artist Gabriel Hernandez Walta and colourist Jordie Bellaire match Tom King's script for insight and emotional clarity, forming a genuinely moving experience. It was obvious from the first chapter that The Vision was something special, but it was with issue #10 that it confirmed its status as an all-time classic, a comic that was powerful enough to stand alongside the very best of the medium. 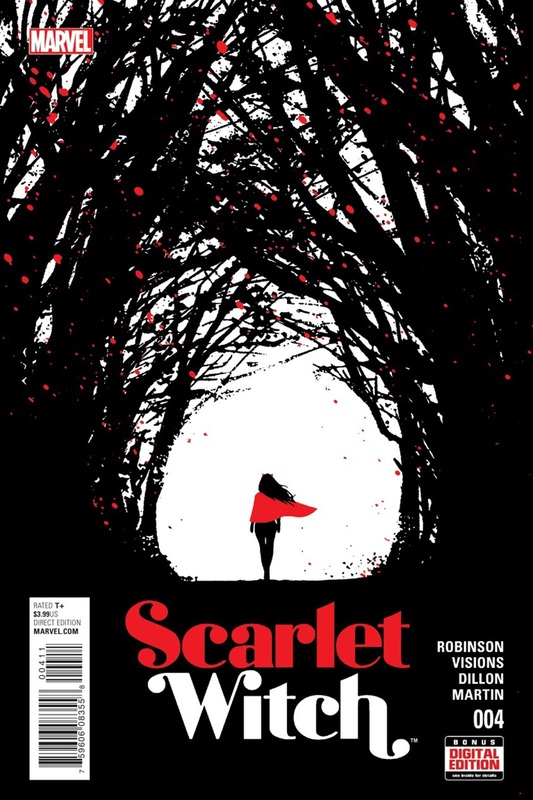 Matt C: In all honesty any of David Aja's covers for the Scarlet Witch series could have scooped this award, such has been the precise brilliance and economy of their design, but only one could make the grade and so we have our winner in issue #4 of the Marvel comic. As with most of the series' covers, it's an ostensibly simple image, but like the majority of Aja's work, there's something more potent going on, and here he plays into the fairytale notion of venturing into the woods - into the unknown, in sense - with the forest seemingly close to enveloping the lone figure, but the Witch strides forth, confident and unconcerned. And all this is conveyed with the use of just three colours (red, black and white). Masterful and memorable. Alex T: Senator John Lewis’ autobiographical graphic novel about the Civil Rights Movement and the Freedom Rides in the American Deep South is one of those books that make you proud to be a comics fan. It may seem an odd combination – civil rights and comic books – however the use of images to tell the story rather than just words gives the book a depth and significance that makes it truly stand out from the crowd. In a genre where we are often used to reading about fantastical adventures and larger than life characters, Lewis and co-writer Andrew Aydin’s portrayal of the grotesque realities of the Deep South in the 1950s and '60s has no need for dramatic license to make the story work. The simple act of telling the story is enough. Just as Lewis’ non-violent protests at Nashville lunch counters would reveal the abhorrent bigotry of the segregationists in the South, the simple retelling of these events gives them the emotional resonance they deserve and make you cheer on Lewis’ cause and not put down this fascinating account of such a key moment of modern history, even though hindsight tells us the outcome! 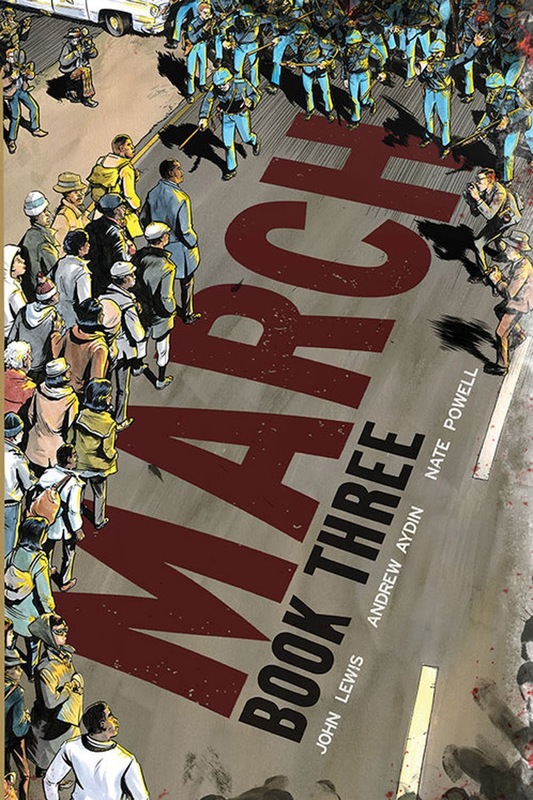 Book Three focuses on the marches in Selma in 1965 and although it's perhaps not as potent as the events in previous volumes, it still provides a powerful look at an important time in American history that is still resonating today. The whole trilogy is book-ended by the inauguration of President Obama in 2008, at which Lewis was a prominent guest, and is a timely reminder that these events are still within the lifetime of those who enabled it. March is one of those books which every comic collector should own, and that you should proudly give to your non-comic reading friends as an example of how comics are capable of being as intelligent, articulate and poignant as any prose novel, movie or poem - and so much more than just men and women in spandex! Alex T: For her follow-up to the critically acclaimed I Love This Part and The City Inside, indie sensation Tillie Walden has taken to the web and blasted off into space to create one of the most unique sci-fi webcomics we have ever read. Instead of following the tried and tested tropes of the sci-fi genre though, she has completely disregarded them and created a world of giant space fish ships and intergalactic cathedrals. The story, which sees a mysterious young girl sent off to spend time on a spaceship which goes around the universe cleaning up old wrecks, manages to take the traditional fish-out-of-water-in-a-new-crew premise and layers on Tillie's own unique world view and ability to tell unconventional yet heartbreakingly real character pieces. 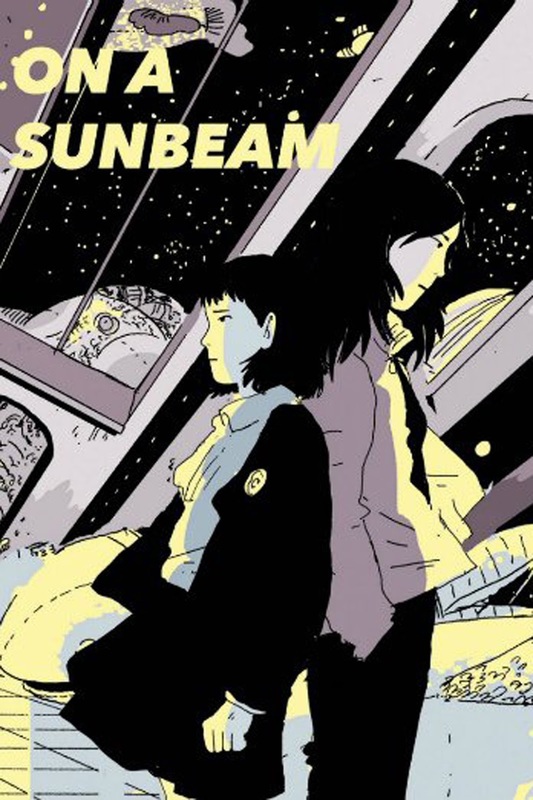 With stunning artwork and an emotionally complex story, On A Sunbeam comes close to eclipsing her masterful work on I Love This Part to create a series that is completely original, but also quintessentially Tillie. 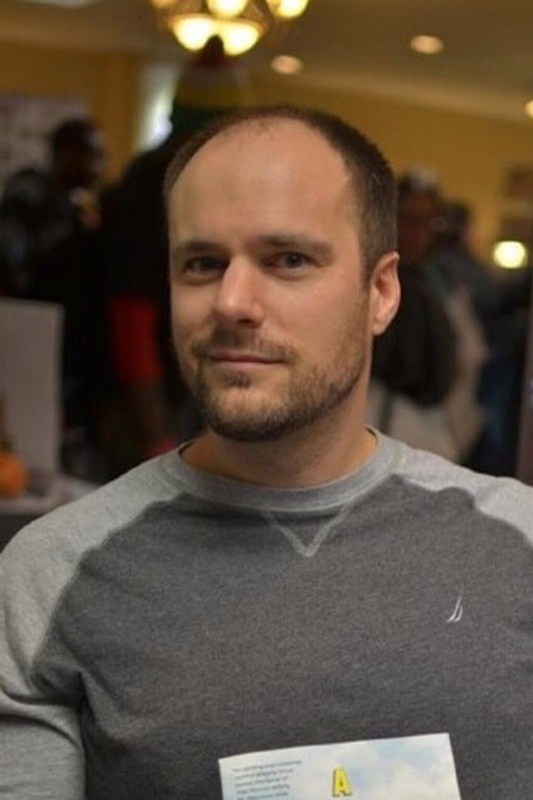 James R: At the start of the year, Tom King was a name few comics fans knew; by December, he was a name nobody could ignore. Back in 2015, he announced himself as a talent to watch with his contribution to Vertigo Quarterly, a tale entitled 'Black Death in America', and in many ways it set the template for his work - intelligent, emotional and searing. 2016 saw King show his versatility and brilliance, from The Vision at Marvel, The Omega Men at DC, and Sheriff Of Babylon for Vertigo, each series was a must-read. Along with the The Vision, Sheriff of Babylon was a personal favourite, with King using his past at the CIA to incredible effect, conveying the complexity and moral ambiguity of post-invasion Iraq. It was inevitable that a blockbuster book would be offered up to him, and DC giving him the keys to the Batcave looks to be one of their smartest moves in years. It's also great to see that he's not turning his back on his mature audience - Vertigo have already announced a sequel to Sheriff of Babylon with Mitch Gerads, and there's no doubt that 2017 will see Tom King contesting for this title again. Matt C: Andrea Sorrentino isn't exactly new to the game but it really feels likes he's entered the zone in 2016. 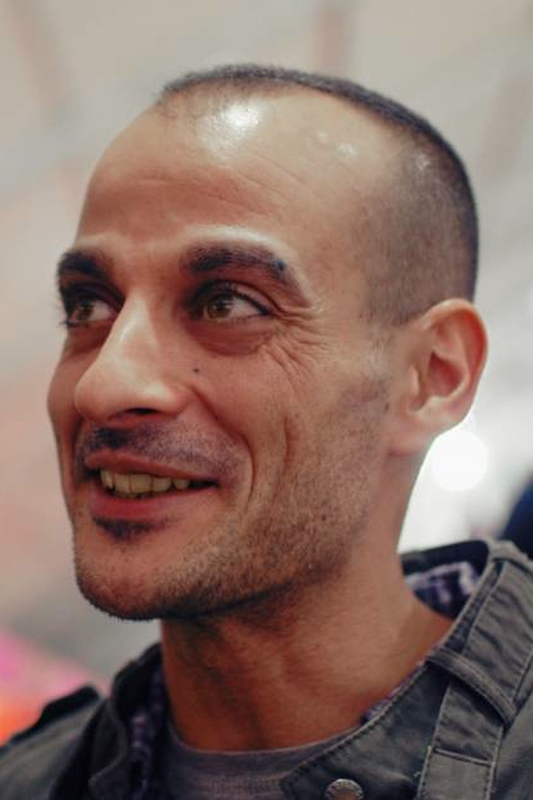 The Italian artist previously turned in some fine work on the likes of I, Vampire and Green Arrow but arguably it wasn't until he signed an exclusive contract with Marvel that he started to make a bigger impact, and it was probably his contribution to the Secret Wars spin-off series Old Man Logan that had him attracting a lot more attention. There then followed an ongoing series bearing the same title, where he partnered with writer Jeff Lemire, and the results were extraordinary. Bringing a visceral intensity back to Marvel's most ubiquitous character, he composed imagery that was full of searing energy and emotion, his panel structuring often reminiscent of J.H. Williams III at his most creative. He can do brutal, he can do melancholy, he can do euphoric and he can do flat-out high octane action with the best of them. He's not a headline name at the moment, but based on his hugely impressive performance this past year, it's surely only a matter of time. Kenny J: It’s testament to David Aja’s striking aesthetic that he has won this year’s prize for Best Cover Artist having mostly worked on the covers of one title in 2016. But oh, what a beautiful title it is! Scarlet Witch, like the covers for Hawkeye before it, utilises Aja’s minimalist style to great effect. Elsewhere covers are overwrought, neither telling you anything about the story inside or the character of the book. With Aja's Scarlet Witch covers I get the feeling of the angst and tragedy that has befallen Wanda Maximoff in recent times in a mere three colours: red, white and black. There is history in these images as well with issue #8 harking back to the events of House of M and the hand that Scarlet Witch had in the decimation of the mutant species. Andy H: Once again Klaus Janson is crowned our inker of the year and deservedly so. These days we're more aware than ever of the impact a good inker has on the finished look of our favourite titles. I don't think we've ever had it so good, the quality of talent out there now is amazing, but one name keeps rising to the top. Like a lot of comic fans, my first taste of Janson's work was The Dark Knight Returns way back in the '80's. While we may not follow inkers in the same way we follow writers and artists, it's incredible how many titles we probably own with Janson's inks in them. Examples include Punisher, Daredevil, Amazing Spider-Man and of course this year's Dark Knight III: The Master Race. It doesn't stop there. 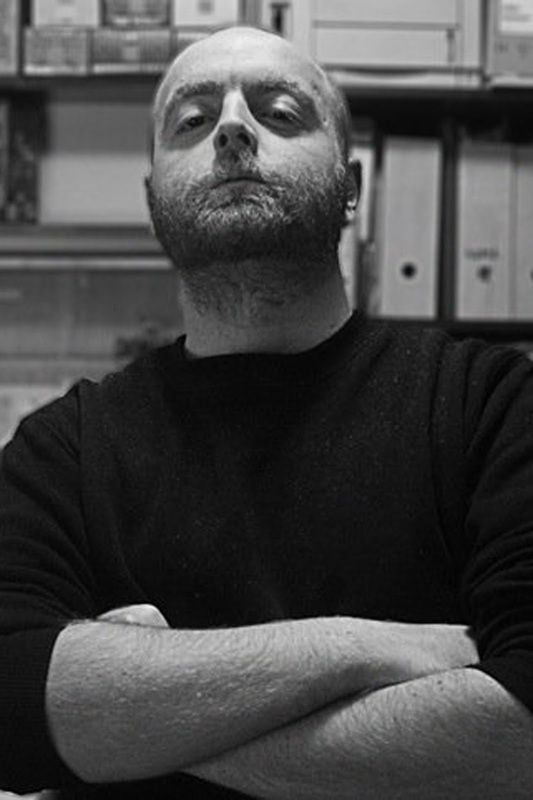 Klaus is not only an inker, he has plenty of writing and pencilling credits to his name too. The term living legend is often bandied around but I think Klaus Janson is definitely worthy of that accolade and long may he continue to grace the pages of comics in the future. 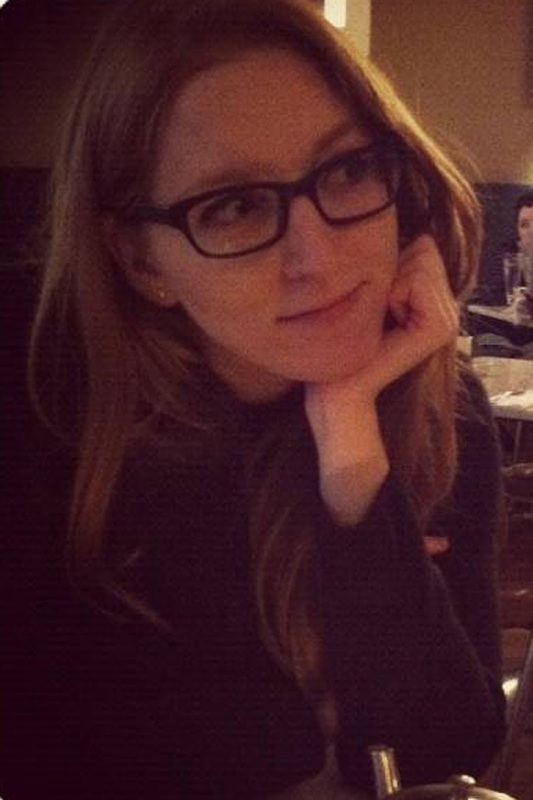 Kenny J: In preparation for writing about this year’s winner of the Paradoscar for Best Colourist, I headed over to the Comicbook DB to find out exactly what books she has contributed to in 2016. I was shocked to discover that she lent her colouring expertise to no less than fifty titles, including some of the best looking books this year, enhancing the already great artwork with tone, atmosphere and meaning. Jordie’s seemingly simple colours are anything but. They are all carefully considered, sometimes using a similar part of the spectrum to convey ambience, sometimes using delicate shades to allow the art to breathe. Even the complete lack of colour is a tool in Jordie’s extensive kit. All this can change from page to page in one book. She is able to look at a scene and imbue the pencils and inks with exactly the right palette and then move onto a completely different one by the next page, all while keeping the identity of the book very much intact. Just look at a book like Injection where Declan Shavley could be drawing the cold skyscrapers of New York City one moment and then deepest darkest forests of the English countryside the next. Through research and an expert eye, its Jordie’s colours that give these locales life and prevent them from becoming homogeneous. I would like to say I want to see even more Jordie in 2017 but looking at her massive output the year just gone I’m not sure that’s possible! Matt C: And so we find ourselves in the strange situation of having our proclaimed 'Best Writer' of the year also awarded the 'Most Promising Talent' win. This category is usually set aside for those creators who are on an upwards trajectory but not quite where they're destined to be yet, but doesn't getting the 'Best Writer' nod suggests Tom King is already there? Well, not quite. The fact that we're designating him 'Most Promising Talent' in 2016 suggests he's still on his way up, and if that's the case, then we need to be really excited about what he's got in store for 2017 because this guy who a lot of us had barely heard of 12 months ago is just getting started. Stewart R: And that's the half decade of successive wins for the publisher hailing out of Berkeley, California. In all honesty, outside of our humble awards spotlight we might have to start talking about the 'Image Age' as a legacy now as the company manages to skilfully navigate a saturated market with savvy choices, a continued appeal to top talent and an attitude to schedules and continuity that remains refreshing and inspires loyalty from the readership. When creative teams on Image books need a catch-up break or hiatus, they engage with the audience and actively inform them of what's happening and when the book will be returning. Give or take maybe a week, you know that book will be back when they said it would be. Five and a half years ago I picked up the first issue of John Layman and Rob Guillory's Chew, a series that capped off its 60th and final issue last month, and it was that creative spark in 2009 of crazy ideas and unapologetically dark humour that led me to looking with interest in the direction of every new title from the publisher. Each month, myself and my fellow PCG members avidly flick through the pages of Previews for our regular Ten Forward piece and you can guarantee that it's the Image section that without fail generates the most enthusiasm from the table. With the ongoing televisual success of The Walking Dead, Outcast making its first brave steps into living rooms around the world this year, and several other recent Image titles having been optioned, it's hard to see the publisher's star fading any time soon. James R: Perhaps it says something about the state of mainstream comics in 2016 that the best character was the protagonist of a limited series. 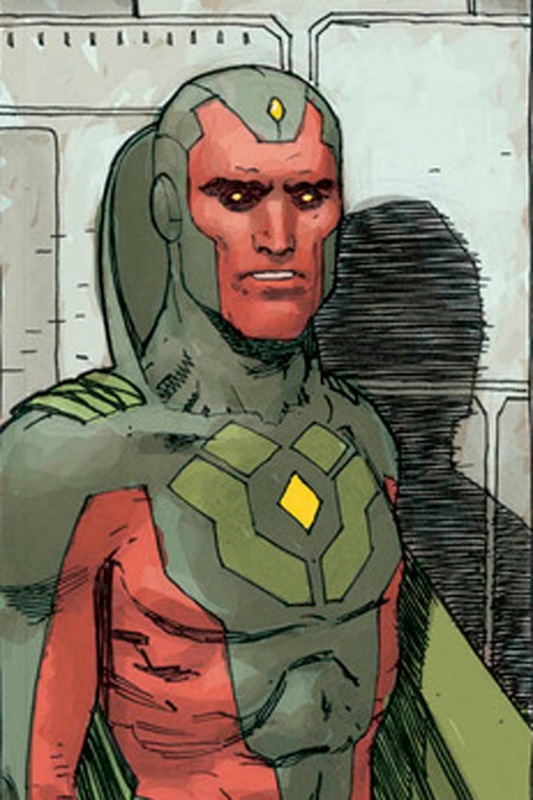 Sure, the Vision turned up in Marvel's relaunched Avengers title, but it's pretty obvious that his votes come as a result of his masterful appearance courtesy of Tom King and Gabriel Hernandez Walta. 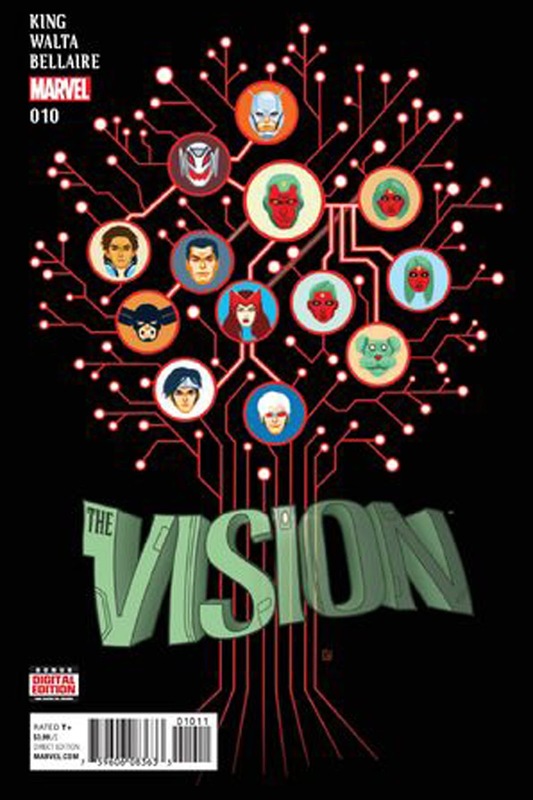 With the Big Two rebooting and relaunching (again), the Vision's attempt to understand humanity whilst trying to defy a terrible fate made for compelling reading and certainly won over a swathe of new fans (myself included!) Beyond the comics, 2016 was also another good year for his movie counterpart. Following a great debut in Avengers: Age of Ultron, Paul Bettany and the Russo Brothers made the Vision a scene-stealer in Captain America: Civil War. His sartorial elegance and his culinary experiments were as memorable as his wielding of the Mind Gem. Any synthezoid who can woo the Scarlet Witch whilst looking good in a pair of slacks is worthy of recognition, and the Vision is a deserved winner of our character of the year. Kenny J: Tom King’s run on The Vision was full of drama, action and tragedy. Not quite what the Vision had intended when he created his perfect atomic family of synthezoids in his own reflection. 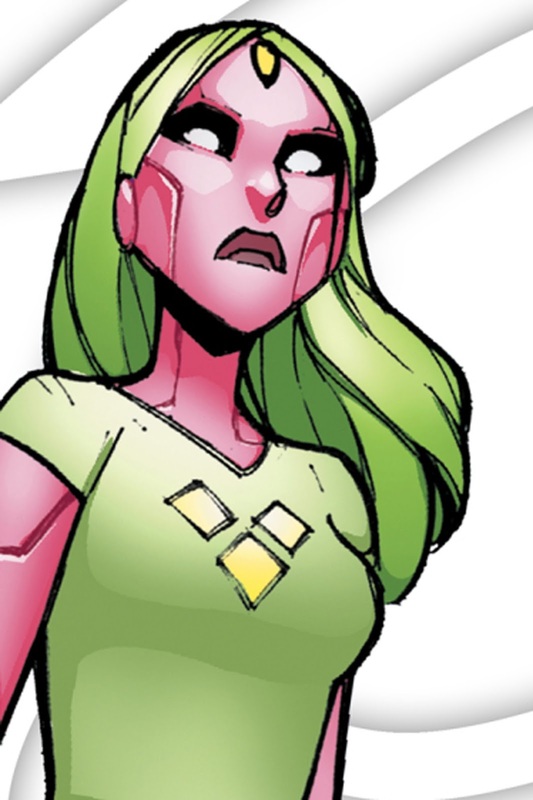 More than her mother or brother, it was Viv that embodied the same philosophical hurdles that her father had found himself facing when he was created at the hands of thee malevolent Ultron. Longing for acceptance of her android nature from those she found herself coming up against at the artificially induced age of sixteen, she found this in her lab partner, Chris, only for him to be taken away at the hands of her own mother. It was the stoic nature of Viv, whether this was directly from her father or a persona she created, that allowed her to take these extraordinary events in her stride. Now as that brilliant book has come to an end, its breakout star finds herself juggling two lives as she tries to return to some form of domestic life with father while simultaneously being estranged from him on either side of the second superhero Civil War. While the Vision remained with the Avengers of yore, Viv struck out on her own finally finding acceptance as part of the young, forward-looking gang of heroes called the Champions. 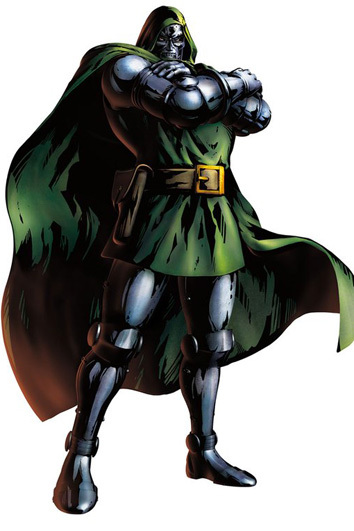 Andy H: The ultimate comic book villain may have started life as the big bad for the Fantastic Four but Victor Von Doom wanted more. Yes, Doom would pretty much take on the whole of the Marvel Universe over the years and be a thorn in many a hero's side. His massive ego meant you could always rely on great speeches, grand schemes and a love of talking about himself in the third person. As villains go, Doom is head and armoured shoulders above all others and achieved much, including godhood in recent years. But is this the last time we'll see Doom grace the Best Villain category? These days he's got a new look and taken on the mantle of Iron Man. Is it a new start for Victor or can a leopard never really change its spots? Doom only knows! 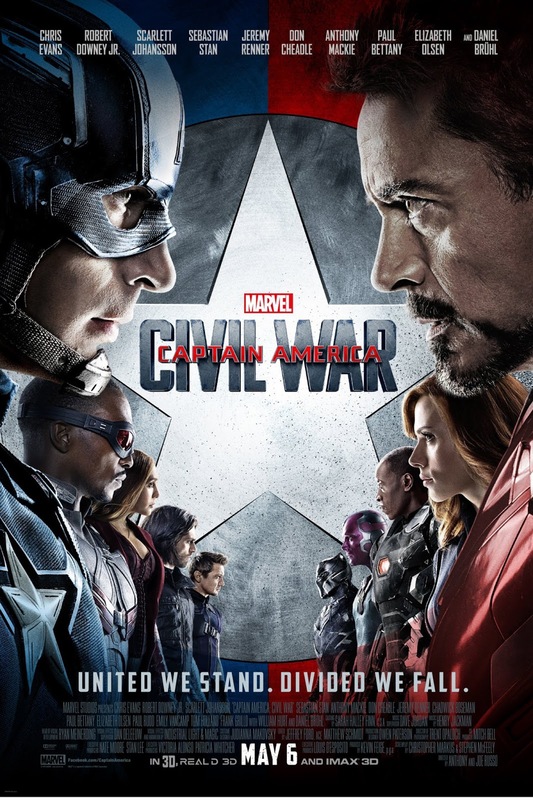 Tom P: The Russo Brothers had set the bar high having directed the second instalment of Captain America with The Winter Soldier, considered by many to be best Marvel movie so far. Could they top it with Civil War? Yes, is the simple answer. The addition of Robert Downey Jr as well as pretty much every other Marvel hero did threaten to overwhelm and crowd out the First Avenger but it only enhances the film and brings to it a strong emotional heft as ideologies and tensions come to some spectacular (and giant) showdowns. The film even manages to introduce two fantastic new characters to the MCU with Chadwick Boseman bringing real weight and intensity to the Black Panther alongside Tom Holland's infectiously funny and geeky Peter Parker. As for villains, we're treated to Daniel Brühl's Zemo: he's not a powerful robot or some amped-up super-villain high on serums of gamma rays. He's just a man on a mission of revenge against an organisation he feels has too much power and the film's all the better for it. Civil War is nothing less than a triumph as we watch his complex plan unfolding, all the while keeping its focus on Chris Evans steadfast Steve Rogers unflinching and determined to do the right thing and help those who need him no matter what the cost. Dangerously arrogant? Well, that's for you to decide, proving once again that when it comes to cinematic superheroes: "Make Mine Marvel!" Stewart R: With the award now scooped two years running it's safe to say that writers and readers of The PCG know a good thing when they've found it. 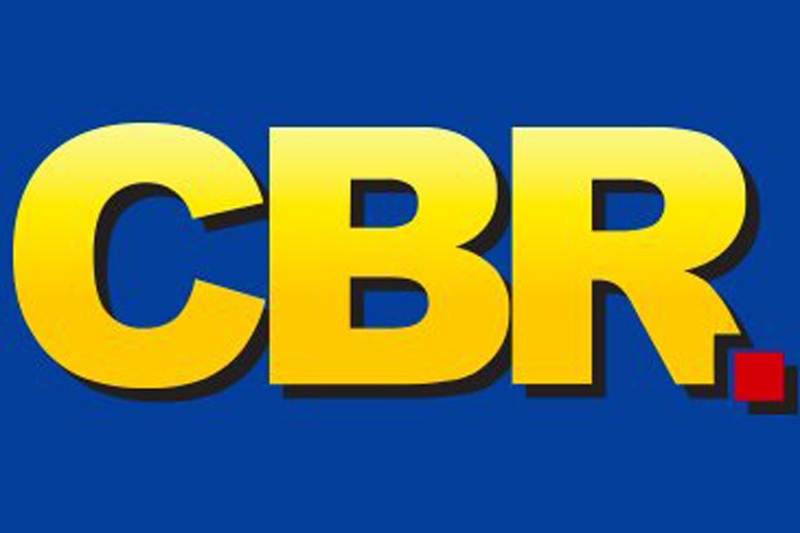 In a competitive market, amongst sweeping internet trends, Comic Book Resources remains an invaluable source for news, reviews and interviews that provides highly readable content on a daily basis. In that aforementioned marketplace, the site's focus has had to split between media in recent years, but the fresh 2016 makeover the site has received after a handful with the same familiar aesthetic, has made it easy to navigate to the news relevant to your tastes and when the content remains at such a high quality (outside of my personal bugbear – the Top 10/15 lists – which pervades nearly ALL comic book news sites these days!) and the exclusive reveals and interviews remain enticing, then long may their reign at the top last. James R: Ugh. 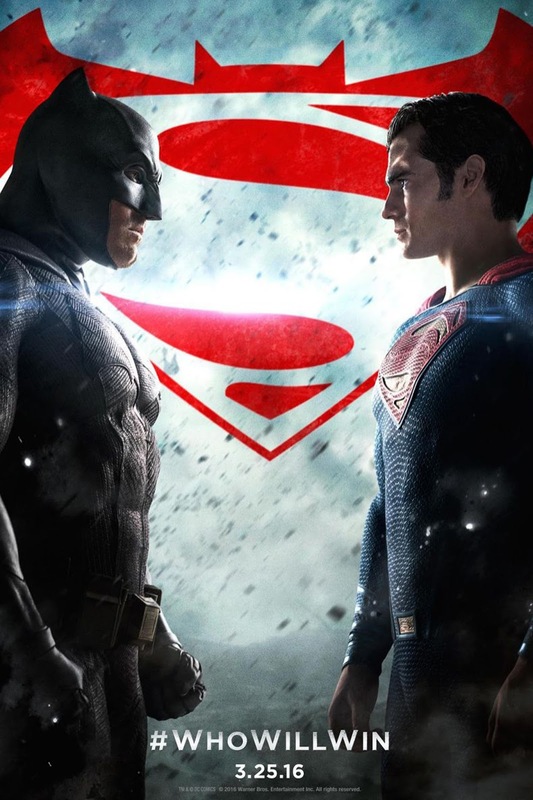 I just thought about having to rewatch Batman V Superman: Dawn Of Justice and I genuinely would rather have root canal surgery. Warner Bros' attempt to catch up with Marvel's shared cinematic universe seemed unwieldy from the start, but few could predict just quite how bad it would turn out. Allowing Zack Snyder to give the whole movie an aesthetic based on Frank Miller's The Dark Knight Returns was a chronic misstep, but not as disastrous as the decision to shoot a script that was nonsensical, and at points, flat-out laughable. Gasp! as the Justice League are introduced via a series of YouTube clips that fail to excite anyone! Grimace! at the woefully ludicrous attempt by Lex Luthor to frame Superman and then unleash something that he can't control! Weep! at the madness of having two of the world's most iconic heroes fight for no good reason - and then be reconciled by a single name. This monstrosity probably would have won the title alone, but then Suicide Squad rubbed salt into the wound by promising so much - via some great trailers - and then delivering a film of two incompatible halves. I stand by my original review (I didn't hate watching it, but it could have been far, far better) but it stands as a great example as to how muddled Warners' thinking is on how best to translate their comic characters to the screen. I would dearly love to go and see some great DC movies, but after their 2016 performance, they've got an awful long way to go before they get back to the halcyon days of Nolan's Dark Knight Trilogy. Stewart R: The great thing about Guardians Of The Galaxy Vol. 2 winning here is that it did so with all the votes in and counted BEFORE the record-breaking full trailer was released to the world. The new promo that hints at the same, adorable, dumb-but-fun, sci-fi-hugging, dysfunctional surrogate family comedy feel we got with the first successful movie. The first film blew expectations and box office projections out of the water, allowing Marvel Studios to pursue riskier propositions with gay abandon as a result. 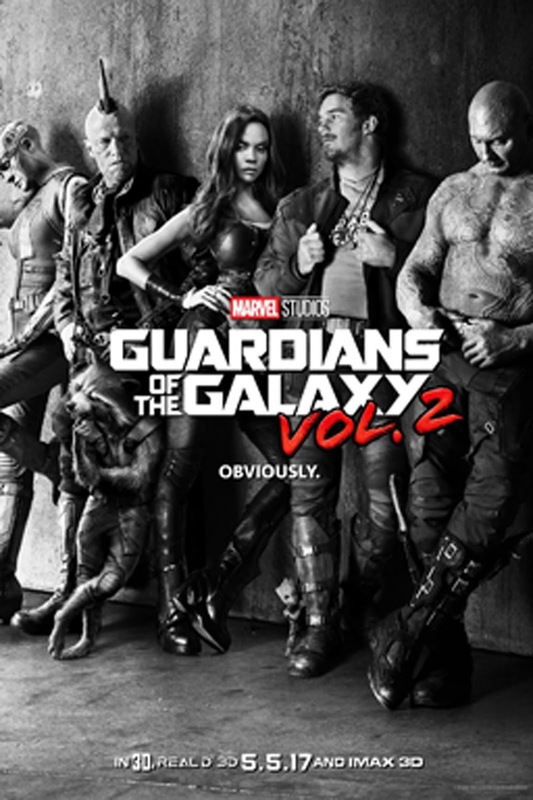 With that explosive introduction, the company and screenwriter/director James Gunn had a viewership hooked upon the antics of a human space-pirate and his crew of loveable alien misfit friends and you get the feeling that with the core cast now established, Gunn can take the adventures in any way he sees fit. Unlike other Marvel properties, the comic book history of the Guardians is far looser and lesser known comparatively speaking, and with fan frustration likely to be non-existent to any shocks or heart-stopping surprises that may surface, Guardians Of The Galaxy Vol. 2 is one of the most exciting and unpredictable cinematic prospects of the year ahead. James R: Where to begin? 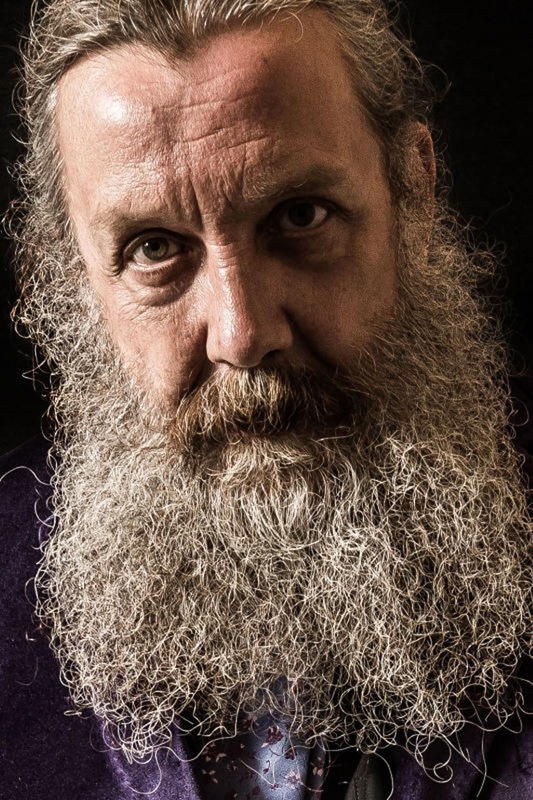 It's impossible to talk about modern comics without Alan Moore - his influence, impact and legacy are absolutely unparalleled. He's rightfully won every possible award in the medium, and he is one of the few writers who have truly transcended the genre. However, I think he deserves this year's PCG Honorary Award as he has had a phenomenal 2016, showing that form may be temporary, but class is permanent. Firstly, 2016 has seen the publication of his prose magnum opus, Jerusalem. It's an epic book, one that represents the culmination of ideas and concepts that Moore has been working out in comics since From Hell. Meanwhile, back in the world of comics, he has produced one of the greatest series in recent memory in the shape of Providence. As with Jerusalem, it represents the culmination of long-brewing conceits and interests, and has been one of the must-read books of the year. Moore claims that he is about to retire from comics, and as a mega-fan, I'm still unsure as to how serious he is - will he ever be able to totally walk away from the medium that he has given so much to? If the answer is yes, then 2016 has been a magnificent swan song.